The IntelliShot delivers accurate portions of milk or cream, giving coffee beverages a taste consistency that will make customers fall in love with your brand. 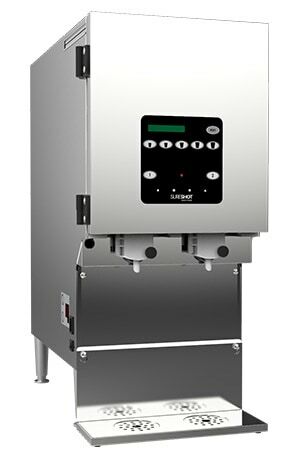 Besides making beverage accuracy a breeze, this dispenser will also enable your staff to provide speedier service. 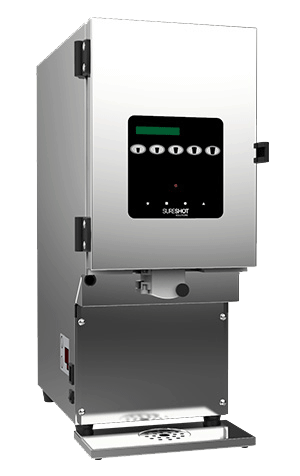 The IntelliShot – engineered to elevate your coffee program – will help increase traffic, transactions, and profitability by dispensing perfection into every cup. 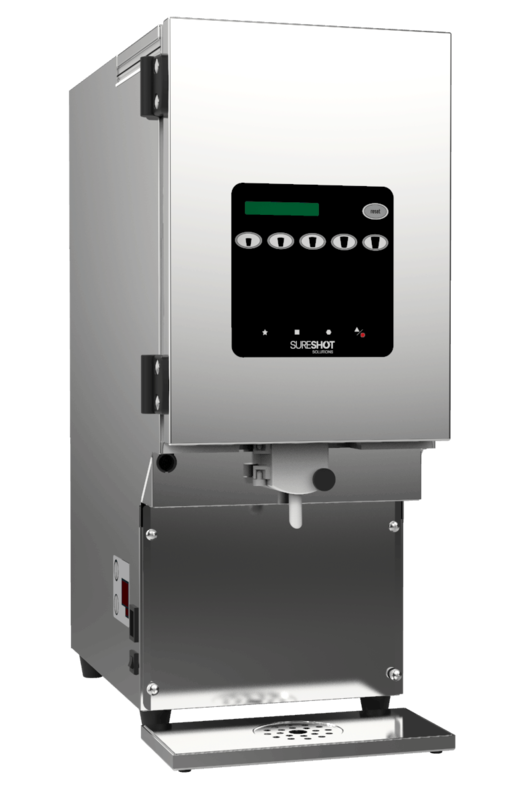 The IntelliShot is the ideal portion-control dispensing solution for your cream and milk products. Some models are perfect for those who purchase dairy in cartons or jugs. Other models are better suited for those who purchase dairy in bags. A proven refrigeration system ensures consistent product quality, optimal shelf-life, and sanitation. 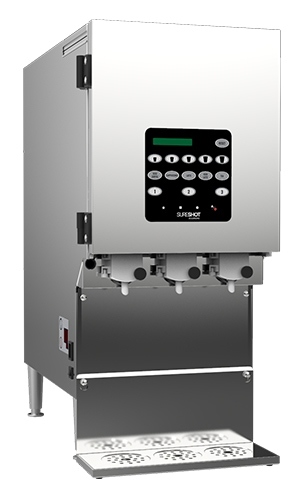 A user-friendly, multi-functional user interface enables accurate dispensing of precise amounts of cream and milk for any menu item or cup size. Includes an easy-to-read digital product selection display. 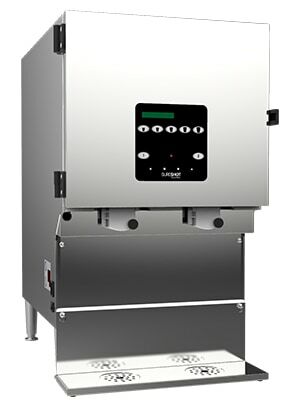 Provides dramatic cost savings, eliminating waste and overuse associated with free-pouring liquids. Infrared programmability makes program updates and menu changes easy. Has an adjustable external temperature display. 17.75" x 9.5" x 24" 22" x 12" x 27" 23.75" x 15.5" x 27" 22" x 12" x 27"
Dimensions (LxWxH): 17.75" x 9.5" x 24"
Dimensions (LxWxH): 22" x 12" x 27"
Dimensions (LxWxH): 23.75" x 15.5" x 27"